Recent advances in sequencing technologies enable us to obtain genome, epigenome and transcriptome data in individual cells. In this review, we describe various platforms for single-cell sequencing analysis across multiple layers. We mainly introduce an automated single-cell RNA-seq platform, the Chromium Single Cell 3′ RNA-seq system, and its technical features and compare it with other single-cell RNA-seq systems. We also describe computational methods for analyzing large, complex single-cell datasets. Due to the insufficient depth of single-cell RNA-seq data, resulting in a critical lack of transcriptome information for low-expressed genes, it is occasionally difficult to interpret the data as is. To overcome the analytical problems for such sparse datasets, there are many bioinformatics reports that provide informative approaches, including imputation, correction of batch effects, dimensional reduction and clustering. 10x Genomics Single Cell 3′ Reagent Kits v2 User Guide. 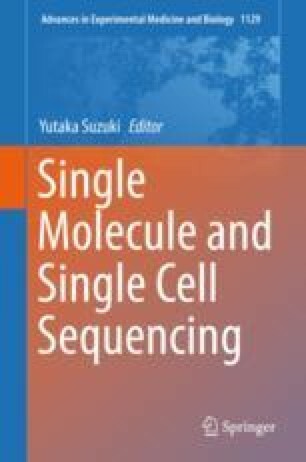 https://support.10xgenomics.com/single-cell-gene-expression/index/doc/user-guide-chromium-single-cell-3-reagent-kits-user-guide-v2-chemistry. Saelens W, Cannoodt R, et al. A comparison of single-cell trajectory inference methods: towards more accurate and robust tools. bioRxiv. 2018:276907. https://doi.org/10.1101/276907.